A church has been at this location since the 9th century, but not this building. 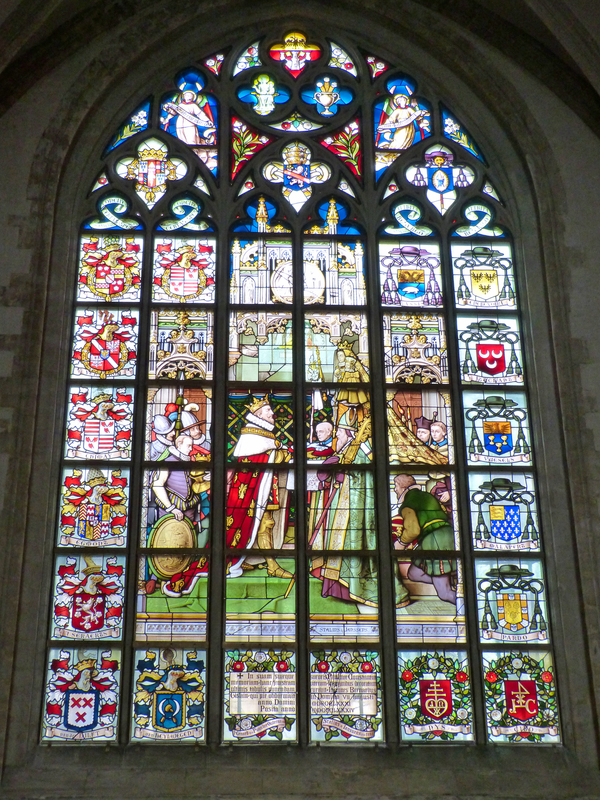 It was begun in 1352 and completed in 1521. It was gutted by fire in 1533; the interior was restored following the fire but as a result of it, the right tower was never completed. The high tower is 404 feet tall. The church has been attacked and sacked during the intervening centuries. 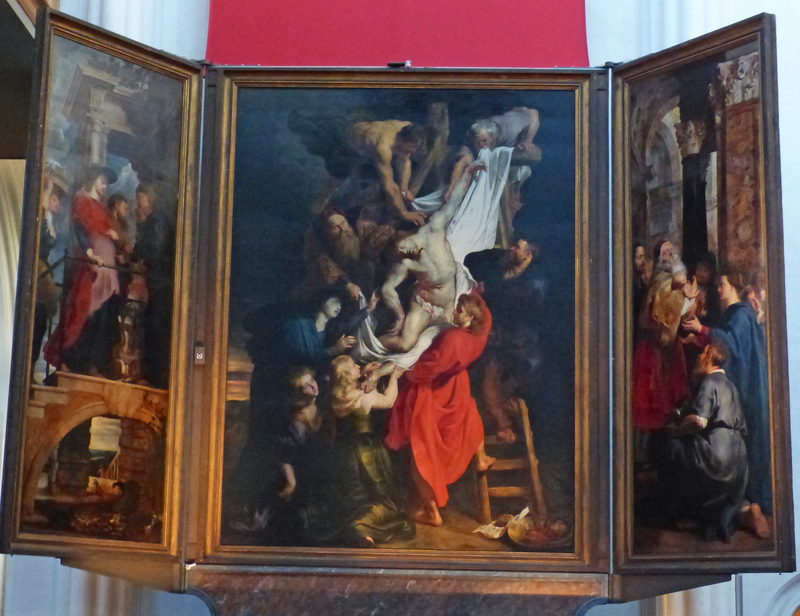 Today it is as much museum as church, because it’s the location of several large paintings by Antwerp resident Peter Paul Rubens and a number of other important artists. 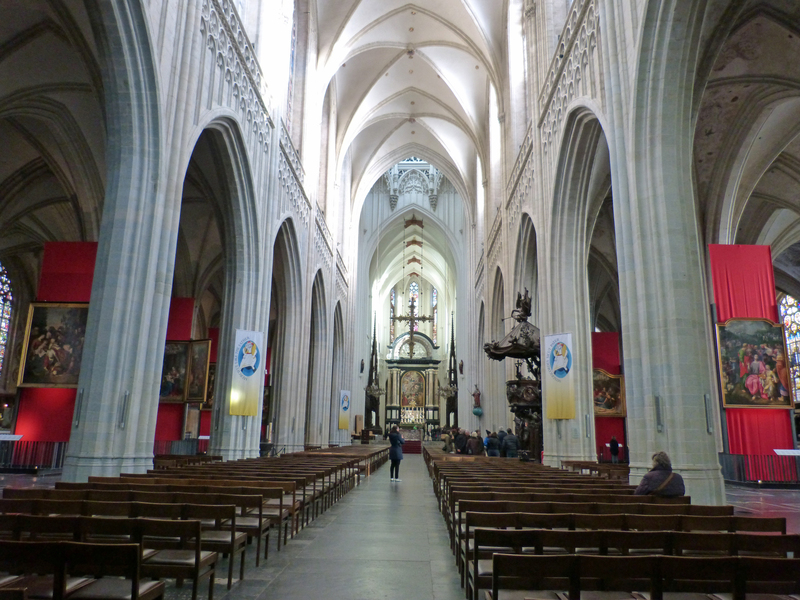 This cathedral is seven aisles wide, which is very unusual. 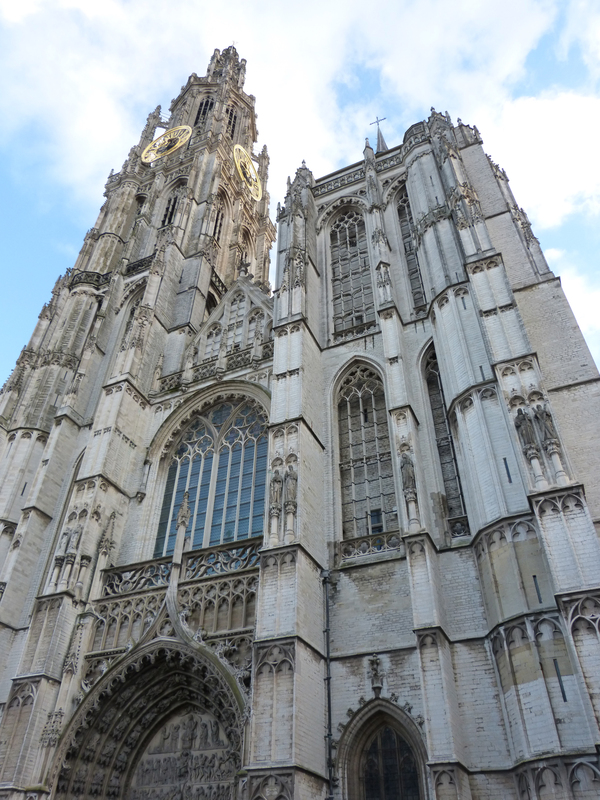 The people of Antwerp undertook a 28-year restoration of the entire building which culminated in 1993. 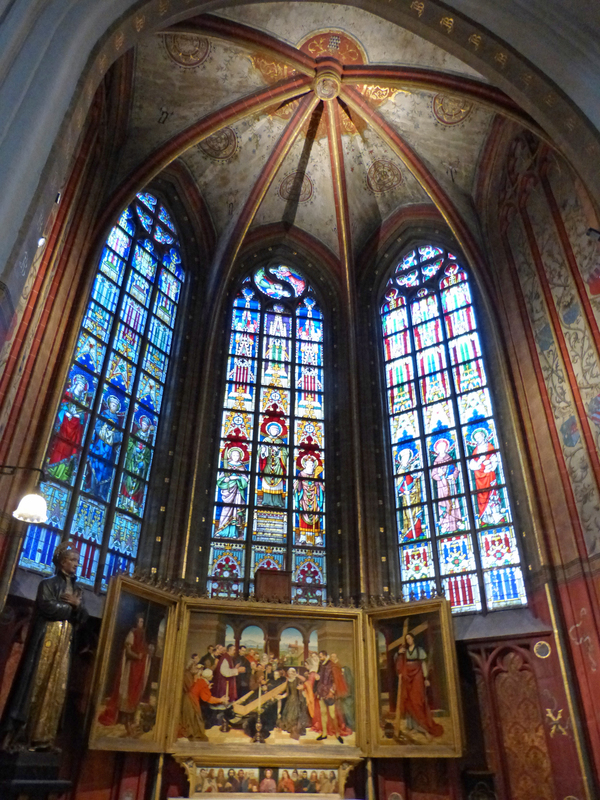 The cathedral is a giant white space illuminated by extremely beautiful stained glass windows, many of them centuries old. 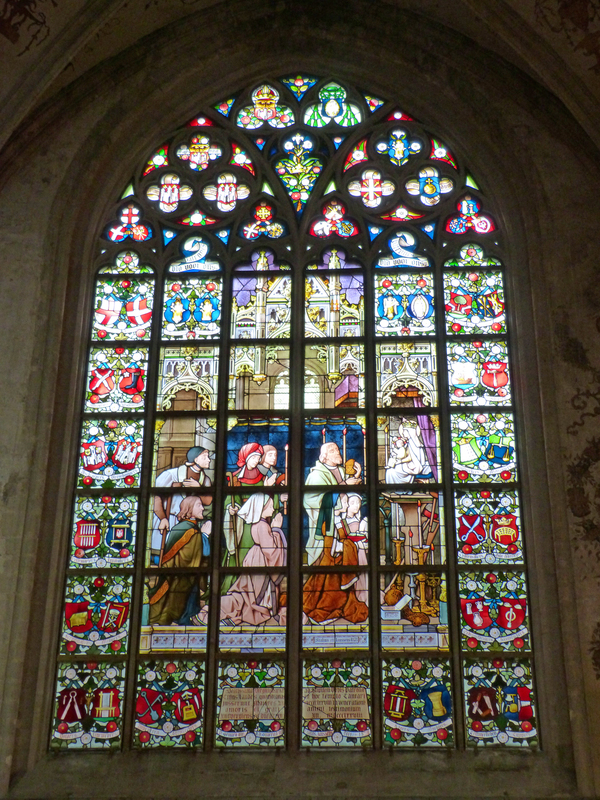 The cathedral is a giant white space illuminated by many extraordinary stained glass windows, some of them centuries old. 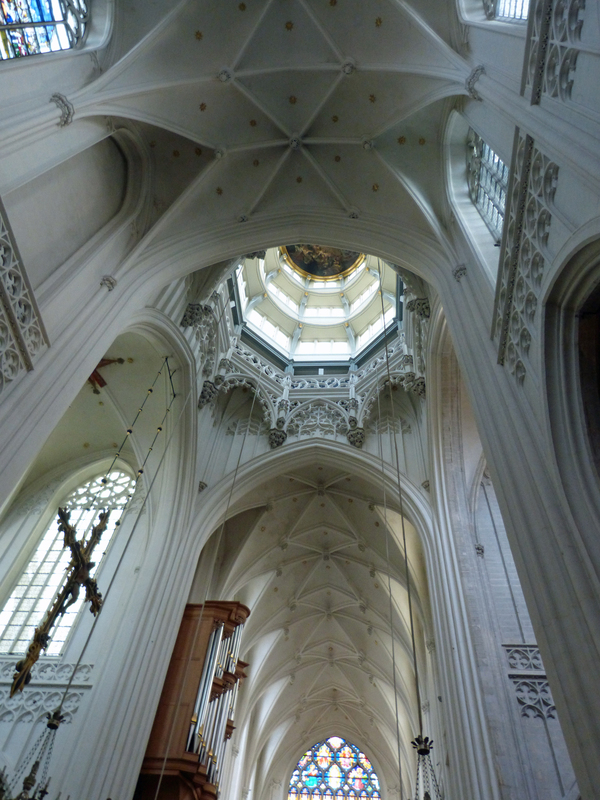 Looking up at the gothic ceiling and into the “crown” that graces the place where the arms of the transept meet the length of the nave and choir. 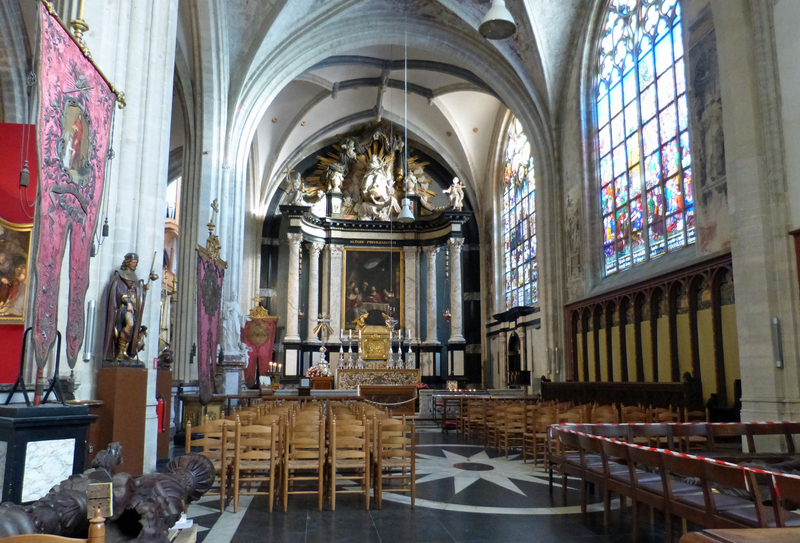 The wealth of Antwerp is demonstrated in the remarkable side chapels of this cathedral. Most of them belonged to the guilds – those same groups of artisans who built the tall, gold-trimmed buildings that surround the town’s main market square. 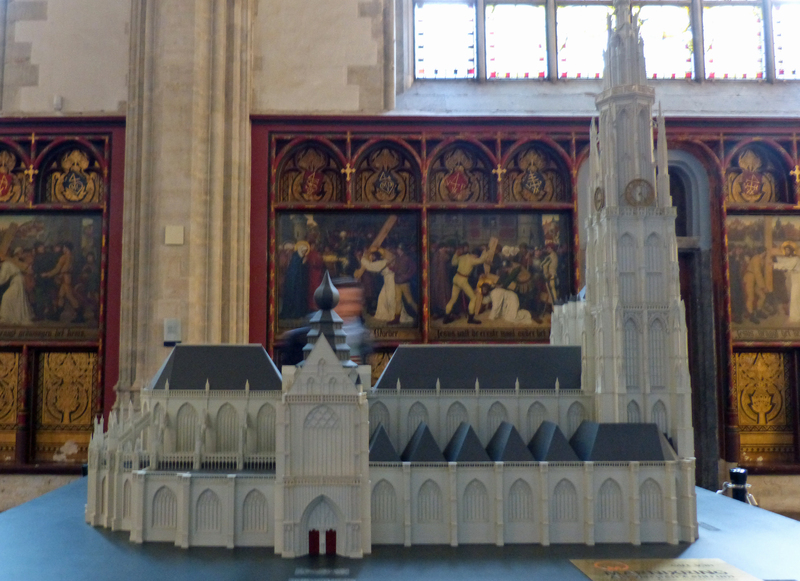 It’s impossible to see the entire cathedral exterior because other buildings have been constructed against its outside wall. This model gives us the best sense of the overall building. 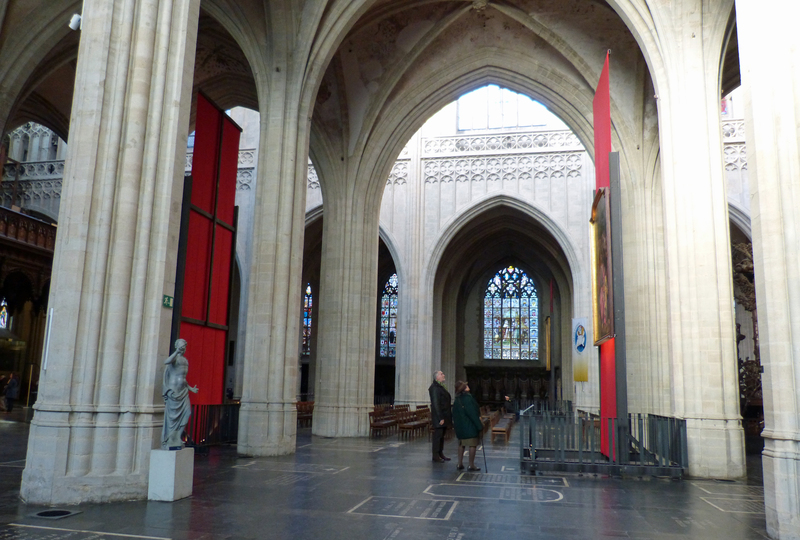 Although this cathedral is perfectly “gothic” and there are flying buttresses around the choir (left side in this picture) there are no buttresses holding up the nave. It seems that the three side aisles on each side of the building are holding it up.